A – What Needs to Be Changed or Improved? B – How Can You Make a Difference by Pursuing That Change? C – What Type of Change Do People Want to See? D – How Can You Communicate Your Brand’s Purpose? It is easy to think that your physiotherapy clinic does not need branding. After all, you are in the business of improving people’s health and lives and not a typical retail product like soda or chocolate bar. In a highly competitive space such as the world of sports physio services, one of the best and most efficient ways to attract new patients to your physiotherapy clinic is through your branding. Everything from your logo design to your employees communicates the values of your clinic. You need to make sure that they send the right message. Before we jump to presenting some of the core components your physiotherapy brand should have, we need to make one thing clear. Your brand is not your clinic, your services, your name or your website – although they all play a significant role in defining your image. Building a brand should be above these tangible things. So, before you get hung up in what shade of blue you should choose for your physio logo design, you should focus on building a solid relationship with your patients. That is one of the best ways to create strong brand equity. With that in mind, here are five essential tips for building a successful brand for your physiotherapy clinic. You have probably made a promise to your prospects. However, in a competitive marketplace, making a commitment is not enough to separate you from the competition. You also need a purpose. While making money is paramount for any business, you should aim higher than just profitability. Don’t just sell medical services, but a way to create a better life for your patients. Finding your purpose is usually easier said than done. You need to do a lot of soul-searching and reflection to discover what your real values are. Ask yourself, what is the problem that your physiotherapy clinic aims to solve? Maybe you have noticed that the services provided by other clinics in your area are extremely expensive and you want to offer prospects an affordable option. The next question you need to ask yourself is what you can do about the problem you have noticed? For example, if you want more people to get access to quality physiotherapy services at an affordable price, you could purchase your equipment from overseas at competitive costs. 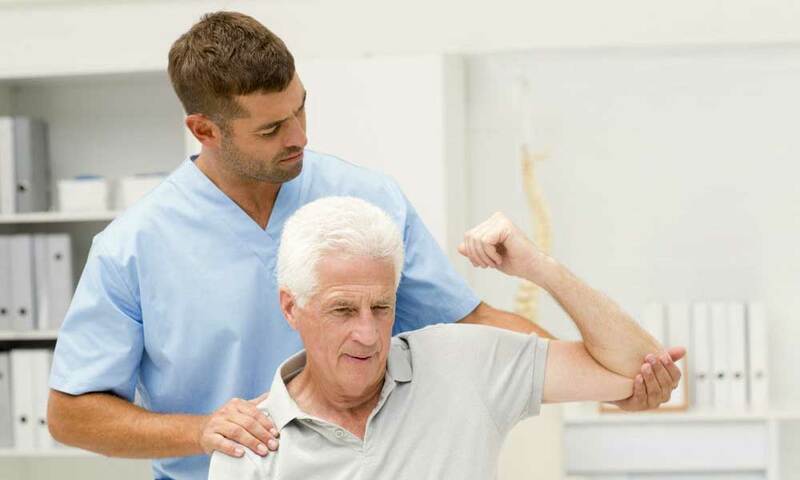 What are people concerned about when it comes to physiotherapy services? You need to make sure that your message is in line with their requirements and aspirations. After you have determined your brand’s purpose, you need to find a way to communicate it effectively. That is where content marketing can come in handy. For example, you could create a page on your website dedicated to explaining how physical therapy can improve people’s lives and how your clinic plans to do that. One key strategy you need to employ to ensure you are getting your physical therapy branding right is to ask yourself why prospective patients should choose you instead of your competition. Is it for your expertise? Does your PT clinic have better, more up-to-date technology? Is it because you are more affordable than the competition? Once you have found the answer to these questions, communicate them with your audience. One way to do it is by creating a unique value proposition. A unique value proposition is a statement that describes the benefits your PT clinic offers, how you solve your patients’ needs and what differentiates you from your competition. Example: For people who struggle with back pain, our physical therapy treatment can provide the relief you desperately need. Coming from your spouse, this overly complicated way of communicating seems odd and unnecessary. This is how many brands express themselves. One moment they are your friends, talking in your language, and the next moment they cram their content with jargons and sophisticated words. It is because many brands do not have a consistent content branding strategy. They did not establish their guidelines and didn’t have a clear message to send to their audiences. That is why sometimes they sound like your best friend while other times they sound just like your boring science teacher. Every action you take should have a clear goal that helps strengthen your brand. For example, don’t just post on social media for the sake of it. Ensure every post, tweet, and blog article is on message and helps communicate the value of your clinic. Ultimately, consistency can help you achieve brand recognition. We pride ourselves on being logical creatures, but the truth is that, in some cases, we feel first and think second. Otherwise, how would you explain a person paying thousands of dollars more on a Harley-Davidson instead of buying a cheaper yet equally better bike? By appealing to their audience’s emotional side and using branding to connect with them, Harley managed to create a community around their brand. This strategy works because people have an instinctive desire to build relationships and feel like they are part of a group. By creating a community, Harley fosters this natural tendency of human beings. However, Harley is a brand with a long tradition, you might think to yourself. How can I build the same emotional connection with my patients? Your physiotherapy clinic does not exist in a vacuum. Every interaction you have with your patients reflects on the way they perceive your brand. You need to determine their pain points and address them. Moreover, we are not talking here about their back or hip aches, but the little things that could make your physiotherapist clinic stand out. For example, maybe you have noticed that most of your patients are old and alone. Make it easier for them to interact with each other by building a cafeteria where you offer free beverages. One of the most efficient ways to find out what your patients think about your physio clinic and what you can do to improve your services is to ask and listen. Create surveys and rating systems that allow you to learn about your patient’s pain points and develop the right solution. That way, they will see that you care about their needs. A lot of Physiotherapy clinic owners make the mistake of believing that since they are in the medical healthcare business, they need to act all serious. That is correct in some way: you want your prospects to see you as a professional and trustworthy clinic. However, that does not mean that your physiotherapy branding should be dull. Remember, people do business with people, and not with brands, logos, or companies. The main takeaway here: find a way to connect with your prospective patients on a deep, emotional level. Make them feel like they are part of a community and that their needs and desired are valued. Everything you do communicates the value of your physical therapy clinic. Your employees play a crucial role here. You might strive to build brand loyalty through your logo, website, and marketing efforts. However, if your employees are not in sync with your values, then your physio clinic’s branding will suffer severely. As mentioned above, your patients do business with people (your medical staff, customer support reps, etc.) and not with your clinic per se. Help your employees understand the core values of your physiotherapy clinic and make them feel like they are part of a family. Inspire them and get them to buy into your brand’s purpose. Their loyalty will bring more value to your clinic than any marketing campaign. In fact, one study found that 41% of customers believe that employees are the most credible source of information regarding a company. So, make sure to train them and build a strong corporate culture if you want to turn your employees into brand ambassadors. 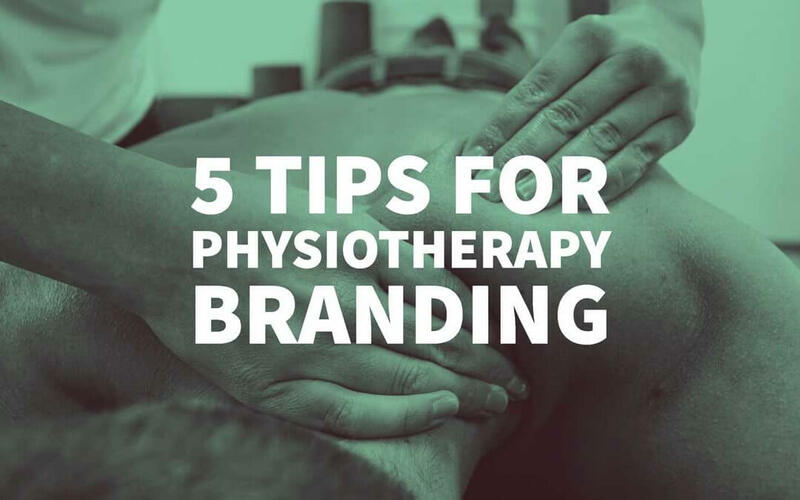 These are just a few basic tips for creating solid physiotherapy branding, but hopefully, they will be enough to get you started. Remember, your logo or website, although important, are just the beginning. You need to focus on building relationships with your prospective patients.